Does kinship still matter in today’s globalized, increasingly mobile world? Do family structures continue to influence the varied roles that men and women play in different cultures? Answering with a resounding ‘yes!’, Linda Stone and Diane E. King offer a lively introduction to and working knowledge of kinship. They firmly link these concepts to cross-cultural gender studies, illuminating the malleable nature of gender roles around the world and over time. 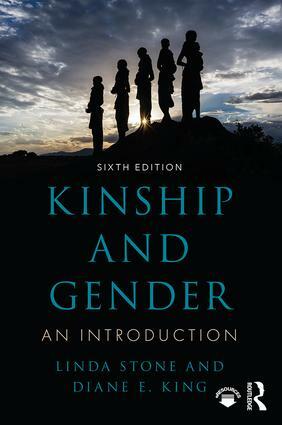 Written to engage students, each chapter in Kinship and Gender provides key terms and useful generalizations gleaned through research on the interplay of kinship and gender in both traditional societies and contemporary communities. Detailed case studies and cross-cultural examples help students understand how such generalizations are experienced in real life. The authors also consider the ramifications of current social problems and recent developments in reproductive technology as they demonstrate the relevance of kinship and gender to students’ lives. The fully-revised sixth edition contains new case studies on foster parenting in the United States and on domestic violence. It provides new material on pets as family members and an expanded discussion of the concept of lineal masculinity. There is also a comparison of the adoption of new reproductive technologies in Israel with other countries, along with a discussion of the issue of transnational movements in the use of these technologies. 1. Gender, Reproduction, and Kinship. 2. The Evolution of Kinship and Gender. 3. The Power of Patrilines. 4. Through the Mother. 5. Double, Bilateral, and Cognatic Descent. 6. Marriage. 7. A History of Euro-American Kinship and Gender. 8. Kinship, Gender, and Contemporary Social Issues. 9. Kinship, Gender, and the New Reproductive Technologies. 10. The Globalization of Kinship. Glossary. Appendix. Linda Stone is Professor Emeritus of Anthropology at Washington State University, USA. Diane E. King is Associate Professor of Anthropology at the University of Kentucky, USA.